Covering Los Angeles, San Francisco, San Diego, Palm Springs and the glorious Pacific Coast Highway, the golden state of California never disappoints. In fact it's hard to imagine a more diverse and fascinating state, and it’s this diversity that makes it the perfect holiday choice. Wake up to waves lapping the shore and then find yourself halfway up a mountain taking in stunning alpine views by the afternoon. 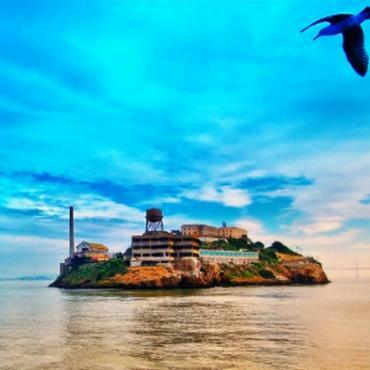 And don't forget all the amazing places and sights that come to life, from the Golden Gate Bridge to Hollywood Boulevard with a few quaint seaside towns thrown in along the way. 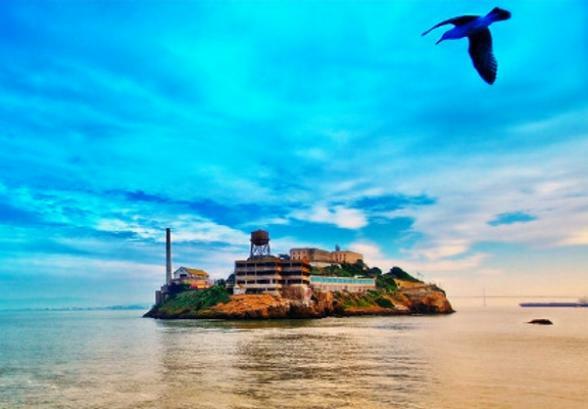 Our very own resident American - Theresa, offers a bit of insight when it comes to planning the perfect California holiday. From seeing the sights of Hollywood to checking out Universal Studios, Los Angeles has a lot to offer. 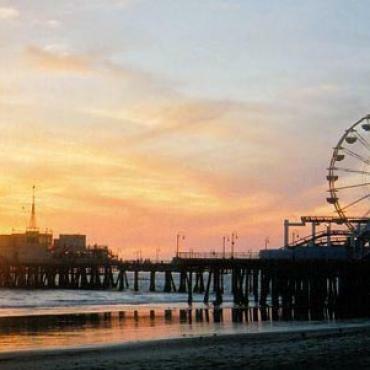 Whether you’re heading there for the beach vibes of Santa Monica and Malibu, the glitz and glam of Hollywood or the fabulous film studios, make sure you get the location of your hotel spot on - it’s a spread out city and you want to be in the right place. If you’re taking the California coastal drive (which you really should), start in San Francisco and spend a few days there before you leave. You won’t need a car in the city, so explore on foot and take in the unique personality of each neighbourhood. You can also head to Napa Valley from San Francisco, where you can enjoy wine tasting with a guided tour or on the wine train. 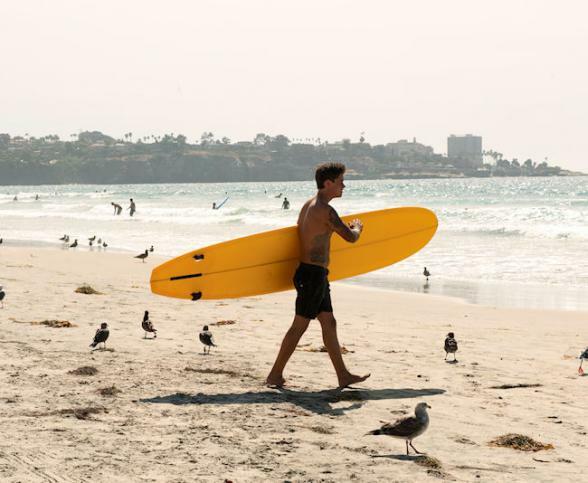 San Diego is much more than a beach destination and it has a lot to offer, including many key attractions. Stay in the downtown quarter where much of what you’ll want to see and do is within walking distance, or stay along the water for a beautiful sea view. Whilst you’re there you can visit the San Diego Zoo, enjoy a family day out at Legoland, take a bike tour and practice your surfing skills. Giving you the best of both worlds, Palm Springs offers stunning desert views, with everything you might want from a city. Here you can shop until you drop, enjoy a round of golf, relax at the spa and stay in your choice of incredible hotels. Not forgetting of course, the desert hot springs where you can enjoy a soak in natural hot mineral water. 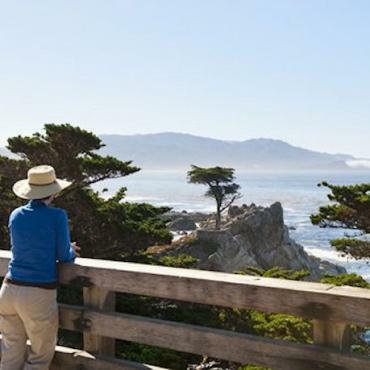 One our most popular holidays is the scenic drive down the Pacific Coast Highway from San Francisco to L.A. Roof down, the wind in your hair, shades on and The Beach Boys on the radio...isnt that living the California dream? 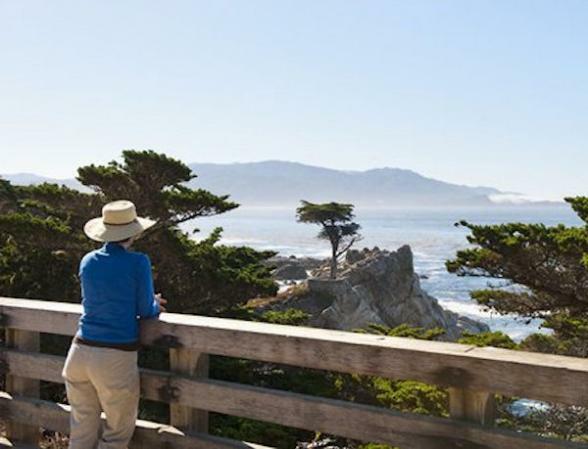 Call in to Monterey and Carmel - maybe catcha glimpse of former mayor, Clint Eastwood! 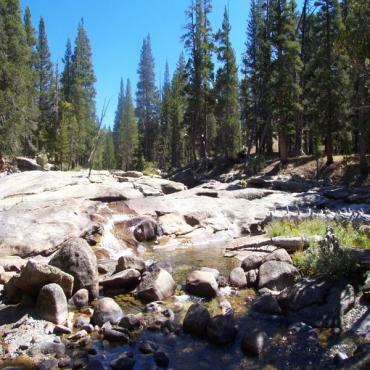 Yosemite, Death Valley and Joshua Tree are just some of California’s incredible national parks, and if you’re heading to the golden state you must take the time to see the natural beauty they behold. Whilst Yosemite is a favourite of ours, there’s many more on offer depending on what you’re looking for, such as hiking, canyons, wilderness, lakes and more. Book with Bon Voyage and you'll benefit from our decades of tailor-made California holiday planning experience. We’ve explored every nook and cranny of this fabulous state and we’re here to help you make the most of your Californian adventure. Get in touch to start planning your dream trip. Travel some of the most scenic byways in North America on this fly-drive holiday through California, Utah, Arizona and Nevada. Enjoy the twists and turns along one of the most scenic rides in the USA - the Pacific Coast Highway. Starting in the Big Apple with its iconic sights, then to the California coast where you'll spend a few days in Los Angeles, before ending your journey in Miami. Experience California and Nevada's solitary deserts, vibrant cities, canyons and mountains on this nearly 1,200 mile ride. Travel 11,500 miles across four time zones, 35 states and 18 iconic USA cities. Have you ever wanted to ride legendary 66 Route, but don't have the time to enjoy the full 15 days? Well, how about the western bits between Albuquerque and Santa Monica? 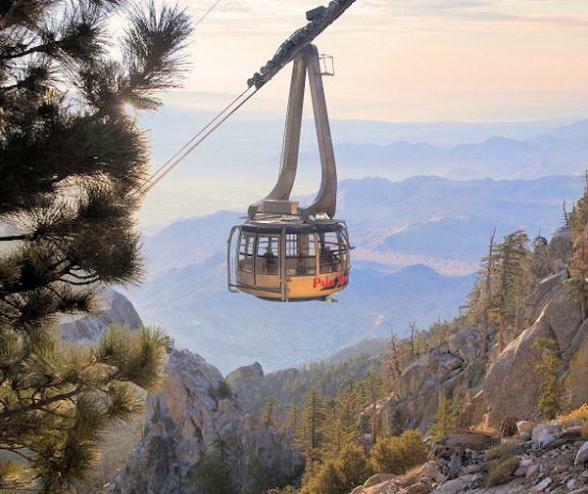 This escorted holidays combines all of the best and unique National Parks California has to offer from Kings Canyon and Sequoia National Park to stargazing and learning about early life in the Sierras, Mammoth Lakes and Death Valley. Enjoy the best of the Wild West with a few nostalgic bits of Route 66 thrown in for good measure. Brace yourself for THE ultimate motorbike adventure. Journey coast to coast through nine states and 3,459 miles in just over two weeks. Looking for a dream ride? Here it is. J. Paul Getty amassed a remarkable collection of antiquities, paintings and sculptures. He enjoyed the pursuit of an object almost as much as the possession of it. Located on West Avenue “G” in the city of Lancaster (an hour north of Los Angeles), the Civic Musical Road is THE only one of it's kind in the USA and one of four in the world....so, just what is it? Channel Islands National Park which is located off the southern coast of California is a fabulous once in a lifetime opportunity for those special few who visit this hidden gem. This weekly special event closes Main Street, Huntington Beach for a funky street fair with musical acts ranging from Spanish guitar to hip-hop dancers, Van Morrison to the Eagles. 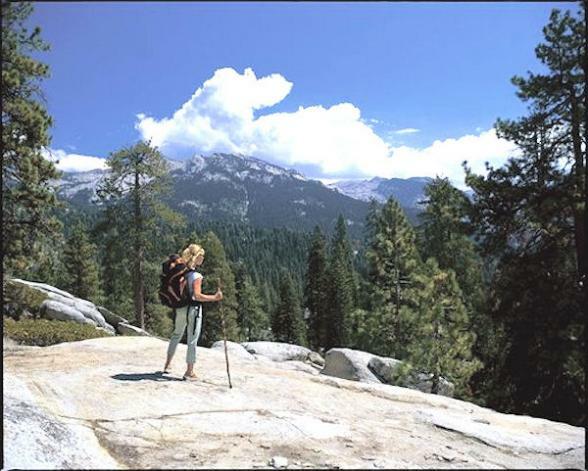 Cloud Climbers Jeep & Wine Tours has been chosen as THE best adventure tour in California for 2010. Explore Surf City on a Segway! There is simply no better way to explore Surf City, USA, than by segway! The amazing lifestyle of Southern California awaits you, with sun, sea, surf and fun as the theme! Palm Springs is the place to be for mid-century modern style and design, where carefully restored homes, hotels, and commercial properties designed by masters like Albert Frey, Richard Neutra, John Lautner, and William Cody are plentiful. 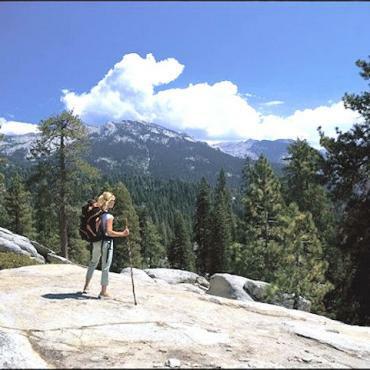 Some of the world's most beautiful mountain terrain is protected within the 1,170 square miles of Yosemite National Park. Let Catalina Express whisk you away to Catalina Island and the beautiful city of Avalon, a Mediterranean-like town just 22 miles off the coastline of Southern California. See the unbelievable mansions the stars of Hollywood call home - on the Celebrity Homes Helicopter Tour. Experience a 35-minute flight with views of the Los Angeles skyline like you've never seen it before. View the breathtaking aerial views from Downtown L.A to the Los Angeles coastline spotting all the famous celebrity homes and areas on the way! Dont miss out! 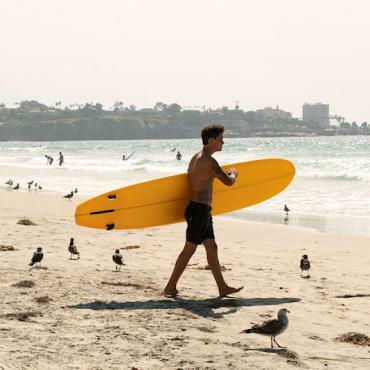 Sit back and relax as you travel South from Anaheim along the scenic Pacific Coastline. See LA's beautiful coastline from a different perspective with our great value LA Beaches Helicopter Tour! Once a berry farm and a real ghost town, this huge area of 160 acres has now become one of Americas most popular theme park attractions, Knotts Berry Farm. The CityPass is a booklet with actual admission tickets to some of the most famous sights in Hollywood. The Los Angeles Grand Tour is a comprehensive tour of Los Angeles and Hollywood. You will be taken to the latest, hottest and most famous spots in LA. The amazing GO Los Angeles Card is your entry card to more than 40 of the top attractions in Los Angeles. Get a real behind the scenes feel at Universal Studios Hollywood with our VIP Experience. Enter Victorville, California on old Route 66 and enjoy the fascinating California Route 66 Museum with its small but growing collection of road signs and photographs. San Bernardino was where Maurice and Richard McDonald perfected the burger-making restaurant chain that bears their name.. 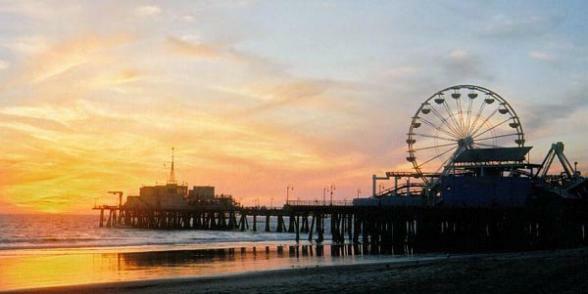 Historic Santa Monica Pier officially marks the end of Route 66 and has been a Santa Monica meeting point since 1909. 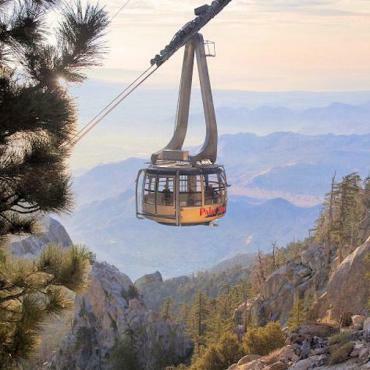 From the demanding Mojave Desert, over mountains and through lush inland valleys, to the golden beaches of lively Santa Monica and the sparkling Pacific Ocean, your Route 66 holiday passes through every type of Southern California landscape. Enjoy dramatic glamour under the sun at this sensational and stylish boutique hotel. This hotel welcomes you to the history and charm of northern California. The historic Delta King riverboat is a completely renovated, historic 1920’s riverboat that plied the Sacramento River between Sacramento and San Francisco from 1927 to 1940. Nestled at the base of the majestic Santa Rosa Mountains in the exclusive community of Indian Wells, approximately 20 minutes from downtown Palm Springs. Built in 1889, the Pine Inn was the first inn in Carmel-ByThe-Sea. Perfect for guests seeking a luxurious mountain existence. The Clift takes conventional hotel philosophy and turns it on its head. Olde world excellence, located at one of the most prestigious addresses in San Francisco, Number One Nob Hill. This has to be the Hippest Hotel in Hollywood. Humphreys Half Moon Inn is ideally located on Shelter Island, San Diego's own Hawaiian Isle. This magnificent, luxury hotel stands tall over San Diego Bay. The Citizen is the only downtown Sacramento hotel offering 20th century grace redefined by 21st century urban luxury. Just moments from California’s State Capitol, the Sacramento Convention Center and the Sacramento Superior Court, The Citizen is where the elite come to meet. The ultra-stylish Loews Hollywood Hotel has quickly become the premier luxury property in the movie-making capital of the world. At the foothills of the majestic San Jacinto Mountains, in the exclusive community of Indian Wells, lies a desert retreat of exceptional beauty, The Hyatt Grand Champions Resort. Set in a building with the classic external ladder, typical of San Francisco, The Prescott offers boutique accommodation near Union Square. This boutique inn nestled in the heart of Solvang offers a retreat into another world. Perched on a bluff overlooking the golden sands of Pismo Beach, this luxury hotel is 'California to the core'. Occupying a Victorian-style farmhouse, and set next to the Beringer Vineyards in pretty St Helena, its award-winning restaurant, Acacia House, is helmed by Top Chef Master Chris Cosentino. This Relais & Chateaux property is the epitome of Napa luxury offering a perfect blend of style, service and spa. A Californian icon since the 1920s, this luxury hotel offers incredible views over Santa Barbara and the Pacific Ocean. Opt for the Cliff-Side rooms at this delightful inn and you'll enjoy unobstructed views of California's legendary Big Sur Coast from your balcony! An exclusive, luxury resort with magnificent views of the rugged California Coast - spoil yourself here! Positioned above the cloud line, 1,200 feet above the Pacific Ocean, the secluded suites scattered along the cliff top are all unique and stunning. We adore the Tree House, but also the Coast House...oh and the Butterfly rooms! This is one of those places you must experience at least once. This Five Diamond luxury waterfront hotel is set in a quiet marina yet only a stone's throw from the hustle and bustle of Venice, Muscle and Santa Monica beaches. Exuding vintage Hollywood style paired with modern luxury, Montage Beverly Hills offers the best of both worlds. Set in 12 tropical acres, this iconic hotel is one of the most beautiful, romantic, and exclusive hotels in the world. Set in 3.5 acres of Mediterranean oasis nestled on a hill just off The Sunset Strip, featuring casual luxury, and accommodating – and might we add discreet – staff. The London West Hollywood emulates the best of cosmopolitan chic and California cool, complete with a rooftop pool with incredible views! A truly refined coastal retreat with an exclusive private beach club. This Tuscan-style resort boasts an award- winning spa and six ocean view restaurants. Set on an oceanfront bluff with sweeping panoramas of the Pacific Ocean, this luxury beach resort commands 30 lushly landscaped acres in the heart of the picturesque arts community of Laguna Beach. Overlooking Balboa Bay and set on 15 acres, this is the only full-service waterfront property in Newport Beach. Enjoy delicious dining in its water-to-table driven restaurant, The Waterline. Upscale and modern property close to high-end shopping at Fashion Island, dining and Orange County attractions. Perched above La Jolla Cove and dating back to 1926, La Valencia is a charming boutique hotel offering a tradition of elegance and unparalleled service. Built in 1913 and a trailblazer in its day, the Grande Colonial Hotel is a historic beauty that honours its traditions yet offers contemporary amenities and services. This historic mansion combines old-world charm and modern amenities, and is only one block away from the beach and the legendary Del Coronado Hotel. Only a short drive from over 40 wineries, this rustic Arts & Crafts Bed and Breakfast celebrates the rich logging history of the area with dramatic use of redwood throughout. The lodge's one-of-a-kind lake location is one of the last developed areas before paved roads give way to pure wilderness. Mountain bliss. Hidden away on three verdant acres overlooking the idyllic Napa River, discover a place unlike any other Napa hotel. Here you will encounter five-star luxury that emphasises thoroughly sophisticated service and style in a truly tranquil, intimate ambience. This award-winning resort spans 27 acres of vineyards and fruit trees, and boasts picturesque views. Sophisticated, landscaped cottages with neutral colour palettes are clustered into charming micro neighbourhoods, each named after the property’s array of flora. Each cottage comes with a soaking tub, outdoor showers, and spacious decks. Steps from the beach, this luxury hotel commands an enviable position on the waterfront and features a rooftop pool with panoramic views over the coastline and the Santa Ynez Mountains. Here, amidst the rolling hills and vineyards of Paso Robles, the elegant architecture, and soothing colours of the Inn at Calipaso will appeal to the most discriminating of travellers.